William Wordsworth (April 7, 1770 - April 23, 1850) was a major English poet who, with Samuel Taylor Coleridge, helped launch the Romantic movement in English literature with their 1798 joint publication, Lyrical Ballads. Romanticism emerged in the late eighteenth century in reaction to the rationalism of the Enlightenment. Wordsworth and other Romantics emphasized the vitality of everyday life, the importance of human emotions, and the illuminating power of nature. Romanticism also stressed the power of imagination, which encouraged freedom from classical conventions in art and sometimes provocatively overturned social conventions. Originally inspired by the French Revolution and the social changes it brought, Wordsworth tried to create a poetry of the people, in the language of the common man. In both in his poems and his prose, Wordsworth was expressly concerned with discovering a sort of spiritual ecstasy that, for him, could be found only in nature and the innocence of childhood. With a mind ever wandering after the wonders of nature and the emotions of the heart, Wordsworth was initially criticized for his sentiment and the informality of his verse by his contemporaries. Wordsworth's early, near-pantheistic reverence for nature matured into a more orthodox perspective of the relations between God, man, and nature. In his "Intimations of Immortality," Wordsworth plaintively suggests a loss of romantic innocence, writing that "The things which I have seen I now can see no more." Reflecting on the importance of religious faith in 1815, Wordsworth affirmed that "poetry is most just to its own divine origin when it administers the comforts and breathes the spirit of religion." In later years, Wordsworth attained preeminence among poets of the Romantic movement and served as poet laureate of England from 1843 until his death in 1850. Wordsworth, more than any English writer, influenced the Victorian poets of the subsequent half of the nineteenth century. The second of five children, William Wordsworth was born in Cumberland—part of the scenic region in northwest England called the Lake District. His father was a lawyer and the solicitor for the Earl of Lonsdale (a man much despised in the area). With the death of his mother in 1778, his father sent him to Hawkshead Grammar School, and in 1783 his father also died, leaving the orphaned children under the guardianship of their uncles. Although many aspects of his boyhood were positive, he recalled bouts of loneliness and anxiety. It took Wordsworth many years, and much writing, to recover from the death of his parents and his separation from his siblings. The estate consisted of around £5,000, most of it in claims upon the Earl, who thwarted the claims until his death in 1802. The Earl's successor, however, settled the claims with interest. Wordsworth began attending St John's College, Cambridge in 1787. In 1790, he visited Revolutionary France and supported the Republican movement and the following year graduated from Cambridge without distinction. In November 1791, Wordsworth returned to France and took a walking tour of Europe that included the Alps and Italy. He fell in love with a French woman, Annette Vallon, who in 1792 gave birth to their child, Caroline. Because of lack of money, and growing tensions with France, Wordsworth returned alone to England that year. The separation from the woman and child left him with a sense of guilt, however, that was later evident in the theme of bereft womanhood in much of his poetry. The French Reign of Terror estranged him from the Republican movement, and war between France and Britain prevented him from seeing Annette and Caroline again for several years. Wordsworth supported Vallon and his daughter as best he could in later life, but there are also strong indications that Wordsworth may have been depressed and emotionally unsettled in the mid-1790s. Wordsworth's poetry was first published in 1793 with the collections An Evening Walk and Descriptive Sketches. He received a legacy of £900 from Raisley Calvert in 1795 so that he could pursue writing poetry. That year, he also met Samuel Taylor Coleridge in Somerset. 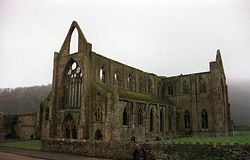 The two poets quickly developed a close friendship and in 1797, Wordsworth and his sister, Dorothy, moved to Somerset, just a few miles away from Coleridge's home in Nether Stowey. Together, Wordsworth and Coleridge (with insights from Dorothy) produced Lyrical Ballads (1798), a landmark work in emergence of the English Romantic movement. The poem follows the poet's inner journey from simple enjoyment of nature to an exalted perception of the cosmic grandeur of nature, and then descent into doubt whether this transcendent vision may not be instead a romantic delusion. The poem closes on a subdued affirmation of nature's healing power. More generally, the poet's subjective impressions lead to generalized speculations whose validity are grounded in subjective feeling, a central expression of the romantic temper. The second edition, published in 1800, had only Wordsworth listed as author. A third edition of "Lyrical Ballads," published in 1802, contained more poems by Wordsworth, including a preface to the poems. This preface is considered a central statement of Romantic literary theory, in which Wordsworth discusses the elements of a new type of poetry, evoking the common yet deeply experienced feelings of ordinary people, based on the "real language of men" and which avoids the formalized poetic diction of much eighteenth-century poetry. Wordsworth, Dorothy, and Coleridge then traveled to Germany. During the harsh winter of 1798-1799, Wordsworth lived with his sister in Goslar, and despite extreme stress and loneliness, he began work on an autobiographical piece later titled The Prelude, and completed a number of famous poems, including "the Lucy poems." Wordsworth and his sister then moved back to England, now to Grasmere in the Lake District, near fellow poet Robert Southey, who, with Wordsworth and Coleridge, came to be known as the "Lake Poets." Through this period, many of his poems revolve around themes of death, endurance, separation, and grief. In 1802, he and Dorothy traveled to France, where he arranged a friendly separation with Annette and their child. Wordsworth's travels confirmed his disillusionment with the French Revolution and its aftermath. Later that year, Wordsworth married a childhood friend, Mary Hutchinson. Dorothy did not appreciate the marriage at first, but lived with the couple and later grew close to Mary. The following year, Mary gave birth to the first of five children, John. Coleridge by now was almost totally dependent upon opium for pain relief, straining their friendship and leaving both to contemplate the stark contradiction between their visionary ideals and the harsh realities. With Napoleon's rise as emperor of France, Wordsworth's last wisp of liberalism fell, and from then on he identified himself as a conservative. His poetry increasingly looked to his native country and its institutions, which he saw as a more emblematic of genuine freedom than France's revolutionary turmoil. His renewed nationalism led to works such as the two "Memorials of a Tour in Scotland" (1803, 1814) and the group entitled "Poems Dedicated to National Independence and Liberty." Portrait, 1842, by Benjamin Haydon. Wordsworth had for years been making plans to write a long philosophical poem in three parts, which he intended to call The Recluse. In 1798-99, he started an autobiographical poem, which he never named but called the "Poem to Coleridge," to serve as an appendix to The Recluse. In 1804, he began expanding this autobiographical work, deciding to make it a prologue rather than an appendix to the larger planned work. By 1805, he had completed it, but death of his brother John that same year affected him strongly and Wordsworth refused to publish so personal a work until completing the whole of The Recluse. In 1807, his Poems in Two Volumes was published, including "Ode: Intimations of Immortality from Recollections of Early Childhood." Up to this point, Wordsworth was known publicly only for Lyrical Ballads and he hoped this collection would cement his reputation. It received only lukewarm attention however. Two of Wordsworth's children, Thomas and Catherine, died in 1812, and Wordsworth and Coleridge were further estranged over the latter's opium addiction. In 1813 Wordsworth was appointed to the office of distributor of stamps for Westmoreland, which provided a secure income, but also influenced his growing Tory sentiments and orthodox Anglican faith. The following year, he moved to Rydal Mount, Ambleside, where he spent the rest of his life. 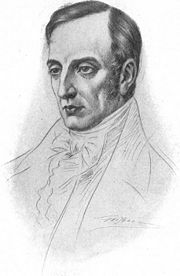 Some modern critics recognize a decline in his works beginning around the mid-1810s. But this was perhaps more a change in his lifestyle and beliefs, since most of the issues that characterize his early poetry (loss, death, endurance, separation, abandonment) were resolved in his writings. But, by 1820 he enjoyed the success accompanying a reversal in the contemporary critical opinion of his earlier works. Dorothy suffered from a severe illness in 1829 that rendered her an invalid for the remainder of her life. The government awarded him a civil list pension amounting to £300 a year in 1842. A year later Wordsworth was appointed poet laureate, a position he retained until his death in Rydal Mount in 1850. Wordsworth was buried at St. Oswald's Church in Grasmere. His widow, Mary, published his lengthy autobiographical "poem to Coleridge" as The Prelude several months after his death. Though this failed to arouse great interest in 1850, it has since come to be recognized as his masterpiece. Wordsworth's poetry is characterized by two cardinal features that he explicitly outlines in his preface to the Lyrical Ballads. There is, first and foremost, the use of what Wordsworth calls "the language really used by men." Contemporaneous readers might beg to differ, as Wordsworth's diction little resembles the guttural, uneducated jargon of farmers and country folk whom Wordsworth praises so highly. To properly understand what Wordsworth means—and the revolutionary nature of his work in comparison to the poetry of his time—one must consider the poetic conventions immediately prior to Romanticism; specifically, the classical and highly ornate poetry of eighteenth century poets such as Alexander Pope. Viewed in this light, Wordsworth's verse uses relatively direct phrasings, uncomplicated syntax, and few allusions. From this perspective his work can be seen for what it was in its time: a refreshingly straight-forward style of poetry that harks back to much earlier English poetic style, but unlike, for instance, the poetry of Milton, still manages to remain musically pleasant and prosaically clear. The Romantics, and preeminently William Wordsworth, expressed a devout love of nature and reverence for the human imagination, which could discern beauty and truth in nature. This Romantic sensibility coincided with the Industrial Revolution in England, which effectively diminished nature and often crushed human creativity in the machinery of progress. A profoundly introspective thinker, Wordsworth expressed an enduring regard for the natural environment and influenced later Victorian poets and novelists with his deep sympathy for common people and identification with universal human experiences and emotions. Wordsworth's love and respect for nature would awaken more forcefully and programatically among later generations of environmentalists, who enacted laws protecting the environment and began a worldwide movement to establish national parks. The Romantic affirmation of subjective feeling and experience would also be renewed in modernist literature, which would advance a more radical skepticism of established religious and social institutions and explore experience through subjective, often existential perception. 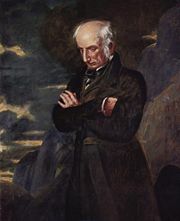 Although Wordsworth was revered in the nineteenth century, his reputation had declined in the twentieth century. His poetry was criticized as sentimental and self-indulgent. In recent years, however, Wordsworth's reputation has again risen and he is widely recognized as a great English poet and original thinker whose stylistic and thematic innovations have had lasting influence on later literature. This page was last modified on 3 August 2013, at 16:57.